There is a growing movement demanding more from exchange transactions and from the organizations which facilitate them. All across the world, people are experimenting with innovative ways to overcome widespread challenges such as the lack of access to financial institutions, bankruptcy, and the waste and isolation caused by social and geographic divides. The reinvention of exchange is made possible by the ready availability of digital technologies, some of which measure profit in social outcomes, but all radically reinvent the idea of exchange to meet twenty-first century needs. Creating community currencies, sharing resource platforms and crowdfunding direct aid are some of the responses to this challenge. 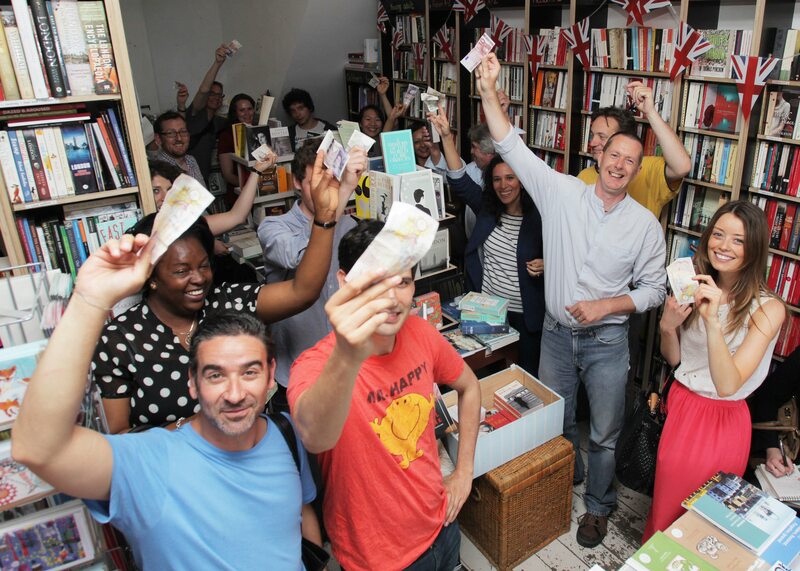 LONDON, UNITED KINGDOM - AUGUST 9: Participants in the 'cash mob' wave their cash at the Pages of Hackney bookstore on August 9, 2012 in London, England. Neighbours from the Olympic Borough of Hackney come together to support their community by taking part in a 'cash mob' at an independent shop – a year after riots in the area. The event was organised by Means of Exchange, a new initiative focusing on how everyday technologies can be used to reconnect communities with local resources, local businesses, and each other. MOE seeks to promote the use of alternative forms of currency—bartering, crowdfunding, time banking and more to democratize transactions. CSF is supporting Ken Banks, MOE founder and Curry Stone Design Prize awardee, to develop alternative currencies. The Foundation has also contributed to the publication of Bank’s book, The Reluctant Innovator. Means of Exchange works to democratize currencies and reconnect communities where alternatives are truly needed.